BBC is reporting that New Zealand's Prime Minister John Key, whose country is dealing with the aftermath of its own earthquake crisis in Christchurch, confirms a rescue team will be sent to Japan. He says: "It's likely that the complete team of 48 will be leaving within the next 24 to 48 hours. We want to offer whatever support we can." People, in a floating container, are rescued from a building in Miyagi Prefecture, northeastern Japan. 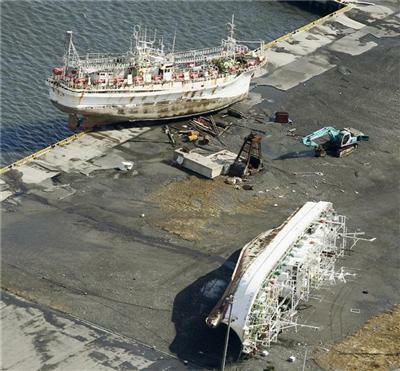 Japan is scrambling to reduce pressure in two nuclear plants damaged after the huge earthquake and tsunami struck its northeast coast probably killing at least 1,300 people. 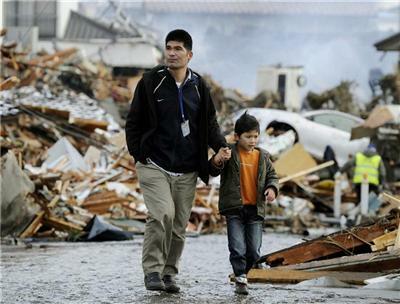 Media are reporting Japan is scaling back tsunami warnings for much of the country. How are they doing at Fukushima plants at the moment? what's the latest on the nuclear power plants, pls? anybody? To all the people in Japan: Godspeed. The whole world watches in amazement at your resilience. I have 15 Years in the Nuclear powerplant business. IMHO if they cannot get the cooling water flowing ASAP, I strongly feel we cou;d be looking at a TMI/Chernobyl reactor containment breachwhich will spread a great deal of radioactivity over the Northern Pacific and eventually to Alaska and the West Coast of the USA. I wish I was wrong, but I doubt it. Pray to G-d for divine intervention people. I am as serious as a heart attack. Unconfirmed live TV news report of contamination detected. 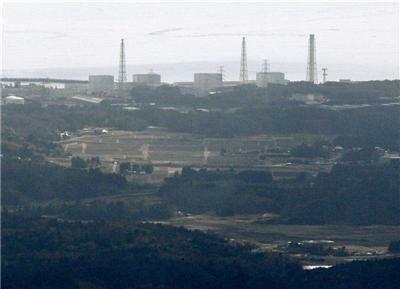 @James Naoto Sekimura, a professor at the University of Tokyo, said a major radioactive disaster was unlikely. "No Chernobyl is possible at a light water reactor. Loss of coolant means a temperature rise, but it also will stop the reaction." @Reuters_David: report from where? Whom? As D. Morris says, "say WHAT?" radiation or it didn't happen. Can someone estimate the number of dead in Japan? No news on the Power Plant website since the venting to release vessel pressure. There were two reports involving an increase of temperature in the system beyond 100°, during a transfer of cooling fluid. The evacuation is 10km from the plant. Jiji News is reporting the high possibility of a nuclear meltdown. We will keep you up-to-date on this. NHK says Cesium detected near Fukushima #1. Currently impossible to estimate number of dead. The news is being sensational. There is practically no threat of a meltdown. The worst case scenario is that there's a leak, and people around the site are evacuated. NHK is reporting the confirmed death toll is more than 700, but that is certain to be low. Source - www.tepco.co.jp - There were two reports of an increase in system temperature beyond 100° in the early morning during a coolant transfer. Venting of gas was government ordered and carried out after the evacuation was increased to 10 km, to lower vessel pressure. what are the prevailing winds in the region? if there were a meltdown, would they blow the radiation out to sea or inland? Tokyo Electric Power Co. (TEPCO) says temperature of Fukushima Daini No.3 reactor core has fallen back below 100 degrees Celsius. The temperature had earlier risen above that level when control of pressure was lost. Evacuating 45000 people and a 10klm radius indicates they are extremely worried about something occurring. This kind of power plant is nothing like Chernobyl. It would take a powerful earthquake right under it to break the containment barrier. The reason they're worried is that they may need to seal the plant because it can't be used any more, not because it is a major danger to others. Does this mean the threat of a meltdown has been averted from the temperature decrease? 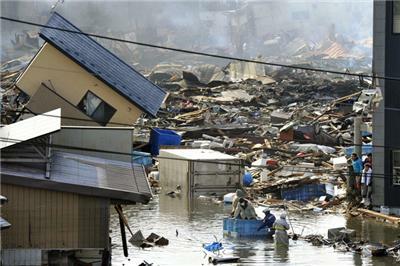 Pray for Japan and all others affected. Temperature rising beyond 100°C would mean all the water became steam and began to super heat. - Thermodynamics - Steam Tables. Unconfirmed reports indicate Cesium detection is related to partial melt down.